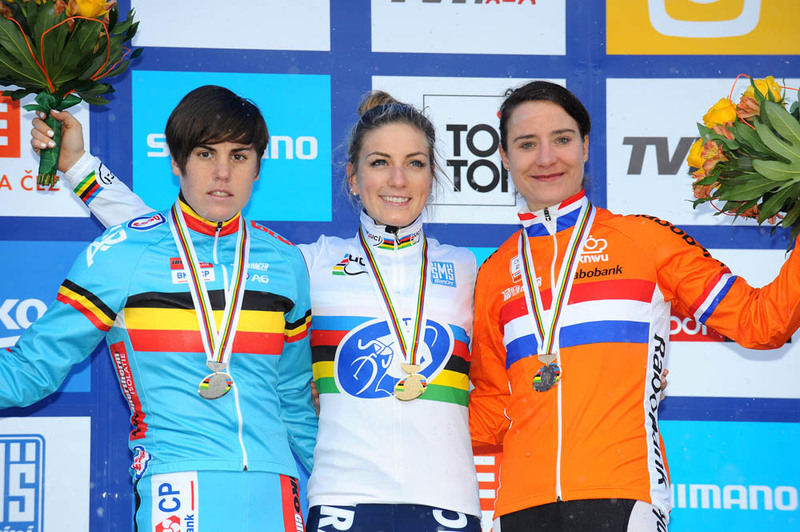 Pauline Ferrand-Prevot added the elite women’s cyclo-cross world title to her 2014 road race rainbow jersey on Saturday. 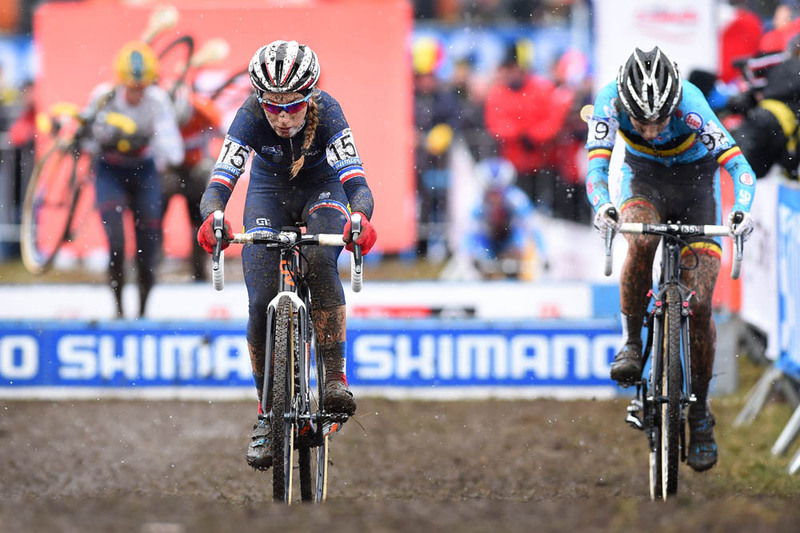 The Frenchwoman out-paced World Cup winner Sanne Cant (Belgium) in a two-up sprint in Tabor, Czech Republic, to seal the win. 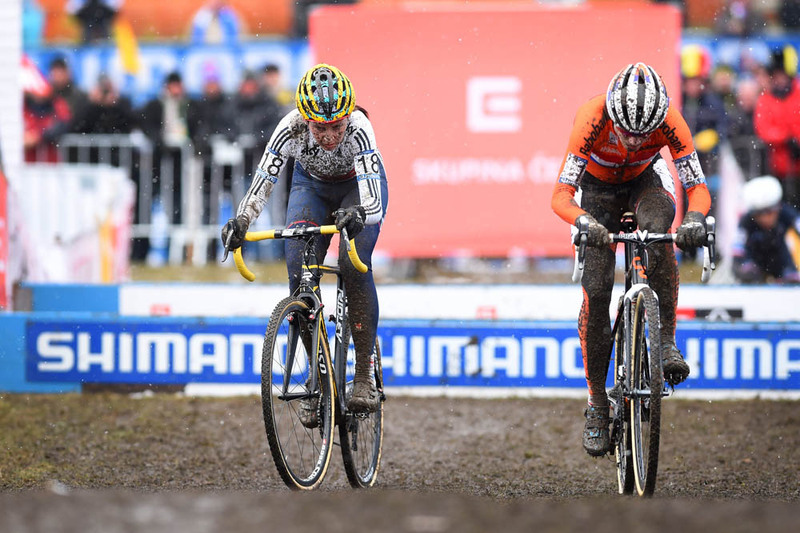 Defending champion Marianne Vos (Netherlands) completed the podium in third at 15 seconds, with Britain’s Nikki Harris just off the podium in fourth at 20 seconds. British national champion Helen Wyman finished in seventh place. Earlier in the day, Simon Andreassen took the junior men’s world title for Denmark after riding away from his rivals. Eli Iserbyt (Belgium) claimed silver, with Max Gulickx (Netherlands) in the bronze medal position. William Gascoyne was top-placed British rider with a creditable 14th place.